If the majority of members of your family taking a wonderful vacation in Branson cabins at Thousand Hills Golf Resort are movie enthusiasts, don’t waste time, collect your favorite movies and start a movie marathon with your kids in a warm cabin during your winter vacation. Inside Branson cabins, you can enjoy a complete entertainment pleasure as each cabin features cable TV with HBO, DVD player , and free wi-fi internet access and many more high-end amenities. Branson cabins are beautifully located in a secluded place near the Ozark Mountains where you will get to see the beautiful natural scenery and spectacular view of the wildlife. During winter season, it’s great to spend long hours watching different kinds of movies inside Branson cabins with your children. So bring a bunch of DVD movies that you can watch for days. And if loads of movies you take aren’t enough, the staff at Thousand Hills Golf Resort is willing to assist you for any movie you want to borrow and watch inside your cabin. 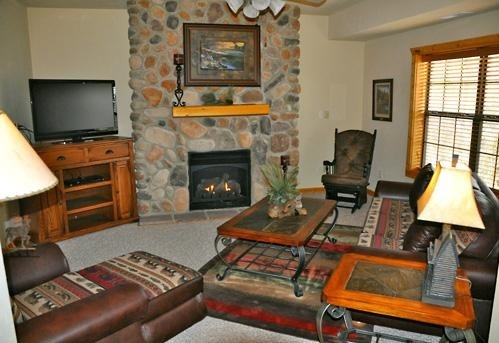 Inside Branson cabins, you will not run out of any form of entertainment you want to enjoy till you drop. There’s a TV with HBO, if you want to watch any kind of movie available in cable channels, if you have a laptop, you will feast on browsing the internet enjoying games or chatting with friends. If you feel suffocated enjoying movie marathon inside Branson cabins for days, bring your kids along with you in the heart of Branson, and spend a great time with many different movie theaters that feature current movie shows and world-class live entertainment shows. The Branson Meadows Cinema which opened in February 2000 boasts 11 theaters that feature fantastic sights, great surround sound systems that engrosses you with a unique movie experience, beautiful mauve, and comfortable seats. Its wide screen matches the horizontal seat rows that make the viewers feel more immersed in the show than in vertically designed seat rows that put viewers at some distance from the screen. While spending a great time in the entertainment district in Branson, don’t miss to visit Elite Cinema III, the newest theater in the area that offers movie-going families a wonderful movie experience. Here, you will enjoy a stadium style seating with oversized seats, ample leg room and adjustable arm rests. Each seat uses Tempur-Pedic foam seat pads designed for a comfortable viewing. If you want to watch a movie that is far better than regular movie screen, visit the Branson’s IMAX Entertainment Complex where you can see the big screen and big sound. Aside from the giant screen, they also have the new 35mm projection system that shows film presentations each evening. IMAX theaters are able to produce image seven times larger than regular theaters as they use sophisticated and specialized projection lens. Winter season is the best time to take a wonderful vacation in Branson and stay inside a warm cabin and spend a great time with kids watching a movie marathon.